The saying is true that when something or someone has gone, that's when you appreciate them the most. 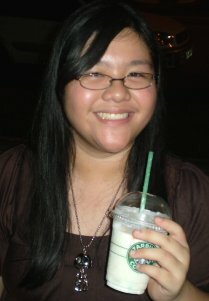 Recently, I found out that my high school classmate and seatmate for two years is gone. He died due to a car crash when he went drag racing. He was 18. His loss came as a shock to me because just recently I chatted with him. I did not even know that he was into drag racing. He was not that type of person back in high school. He was a very funny, sarcastic, and smart friend. He always helped me with certain academic and personal problems. He was overall a very good person, though at times he could be stubborn. He never had a best friend. He hung out with the boys in our class since he was not from my city. He was from another city and went to our school. He lived in a boarding house while his parents were living back where he was from. We had a lot of fun times together. Whenever we had a test in class, and we would need a certain size of pad paper, he and four other seatmates would always share. We also shared snacks together and acted like a big happy family. I feel so sad that I did not get to hang out with him more since we were in the same city. Just last year, our group lost another friend and classmate. He died of bone cancer, and that came as a shock for us too. I don't understand why so many people I know are dying. They were still so young and they could have done more great things with their lives. I guess nowadays we just do not know when we will pass. We just have to keep in mind to live every day as if it's our last because we'll never know. That's what I'm going to do now. And I think everyone should.